Situated at 63° 10’W, 18° 15’ N, directly north of St. Martin, this little island takes its name from the Spanish word anguila, meaning eel, because of its similar shape. It was formerly known as Snake Island. At 35 mi², or 91 km², it is long and very flat, with a high point of 200 ft (61 m) at Crocus Hill. Vegetation is sparse due to the low rainfall. Anguilla has over 30 excellent white sand beaches, spectacular and ecologically significant coral reefs, as also a well-earned reputation as a quiet and peaceful getaway. There are many surrounding uninhabited islands: Anguillita, Dog Island, Prickly Pear Cays, Sandy Island, Scrub Island, Scilly Cay, Seal Island and Sombrero (also known as Hat Island). 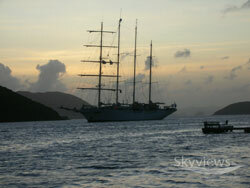 Fun things to do: diving, snorkelling, cruising, fishing and also visit places of historical interest. A nice selection of up-market art galleries might entice you, visually, as well as those of you who like to take home something precious! Going to Anguilla and wondering where to stay, what to do, where to eat and how to get around? We’ve got you covered with our list of hotels, restaurants, activities, car hire, shopping & more. Browse through for more details. Les Grands Vins de France ltd.
Public Holiday Speeches and tributes to the Father of the Nation (James Ronald Webster) takes place at Old East End School and Grounds. Features radio interviews with 15 women in the Anguillian community discussing their successes, challenges and ability to stay motivated despite obstacles. Public Holiday A-Class Egbert Connor Boatrace at Sandy Ground. Public Holiday Fun Sports Day amongst Government Departments and Private sector companies. An event celebrating Anguilla’s history and victories through drama, song, dance and fashion. Event aimed at thinking about and refocusing on one’s personal and professional goals for individuals and also for Anguilla. Forty four years of carnival activities by night, and traditional Boatracing by day, pageantry, music and street dancing. (various starting times at LBCC, and Anguilla’s spectacular beaches). (5:30pm – until). Public Holiday A day for picnics and family reunions and the ATB-sponsored A & B class Boatraces at Meads Bay. 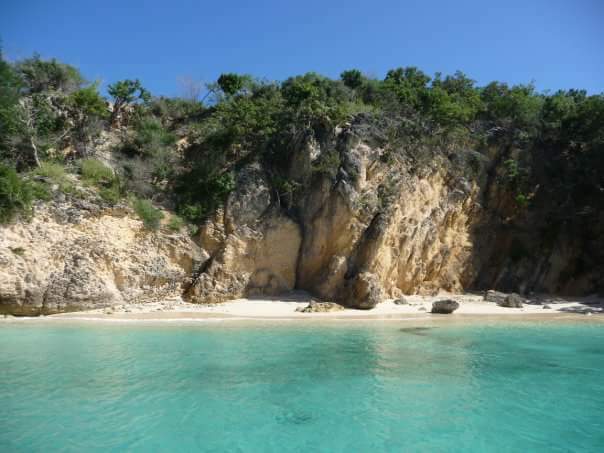 Anguilla was first settled by the Amerindians and the earliest artefacts found date back to around 1300BC. Remains of settlements date from 600 AD. It seems that the island may have been called Malliohana, meaning arrowhead, by the Arawaks. Who came next? Some say that Columbus sighted the island in 1493 on his second voyage to the West Indies, and others say it was ‘discovered’ in 1564 by the French explorer René Goulaine de Laudonnière (put in accents). However that may be, it is known that English settlers from the island of St. Christopher colonised the island from the 1560’s. More recent investigation indicates that the island may also have been a refuge for Creoles from St. Kitts, as well as Barbados, Nevis and Antigua. Slavery is thought to have been existent by 1683. Today the majority of residents are black (90.08%), and growing minorities include whites (3.74%) and people of mixed race a (4.65%) (2001 census). True Anguillans form 72% of the population. As in most of the islands, ‘standard English’ has evolved into a local ‘dialek’ (dialect), or Anguillan or Anguilla Talk. Anguilla has a growing music scene and has produced the first-ever album with only artists from a single Caribbean island, playing multiple musical genres. Anguilla has earned a fine reputation as the culinary capital of the Caribbean. How many times has it changed hands? Anguilla has had various administrations. In colonial times, the British, through Antigua. In 1825, it went under the control of St. Christopher (Kitts) and Nevis. When the British gave St. Kitts and Nevis full internal autonomy in 1967, Anguilla was also incorporated. The Anguillans were not having any of this though and in 1967 and 1969, Ronald Webster led two revolutions to bring the status of the island back to being a colony. British authority was fully restored in July 1971 and in 1980 Anguilla was finally allowed to secede from Saint Kitts and Nevis and become a separate British Crown colony, now a British overseas territory. It has its own multi-party system. Anguilla is a popular tax haven, there being no direct taxes, capital gains tax, etc. It was only in April of 2011 that a 3% Interim Stabilisation Levy was introduced to bridge a mounting deficit.